John Henry Newman is recognized as one of the greatest Christian thinkers of modern times and has been hailed as a great prophet of twentieth century Christianity. He was also a man of prayer and deep spirituality. To mark Newman's expected beatification later this year, A.N. Wilson has compiled this wide-ranging anthology of prayers, poems and meditations.Beginning with an engaging Introduction to Newman's life and thought, this anthology has been carefully arranged to provide daily readings over a six-month period. The readings cover the general themes of faith, prayer, the contemplation of Christ, discipleship, the meaning of holiness, and the hope of heaven. John Henry Newman was published by SPCK in September 2007 and is our 27954th best seller. 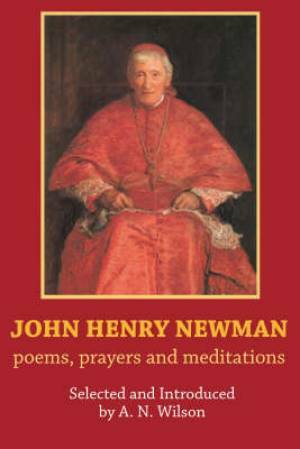 The ISBN for John Henry Newman is 9780281059737. This anthology is usefully divided into six chapters, or 'Months': 'The Call of Faith', 'The Art of Prayer', 'The Contemplation of Christ', 'The Risk of Discipleship', 'The Meaning of Holiness' and 'The Hope of Heaven'. Within each 'Month' there are thirty passages, of varying lengths, taken from Newman's writings. While there is a heavy reliance on his (Anglican) 'Parochial and Plain Sermons', passages also come from his letters and books, as well as his prayers, poems and meditations. Another volume might well make up a year of 'Months' and draw more on post 1845 sources than does this one. The 'Introduction' is unremarkable - would everyone agree with Wilson that, 'Today, John Henry Newman is chiefly remembered as a poet.' 'There are no short ways to perfection, but there are sure ones' (p. 150); some of these are explained with sympathy for the enquirer, secured in Newman's own life. He never bores, or is irrelevant. Even if one dips into this collection at random, there will be words to encourage, calm and to reinforce one's own faith. While he speaks with authority, it is always one heart understanding the needs of another. Got a question? No problem! Just click here to ask us about John Henry Newman.